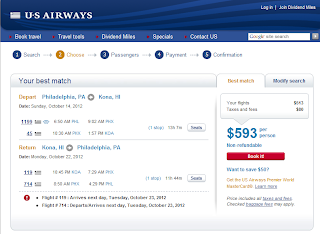 Charm City Traveler: East Coast Fares to Hawaii from $569! When I see an incredible fare sale like this, I post it immediately. 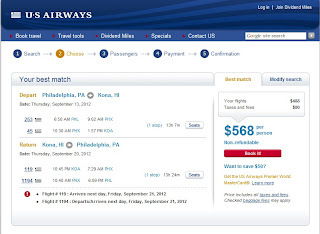 According to my searches, I am seeing availability on U.S. Airways from Philadelphia to Kona, Hawaii for under $600 in the fall. There is no information as to when this sale started nor when it will end, so if you are interested, you need to book as soon as possible. This deal could be pulled at any time. 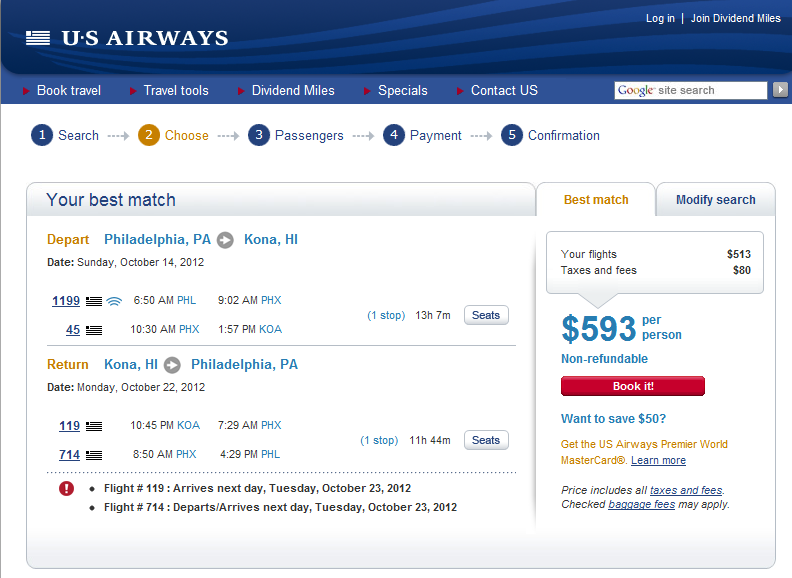 A September Week In Hawaii For $568-Truly A Steal! In playing around with dates, I am seeing good availability for 5-7 night stays in September and October. You will need to use the "Flexible Schedule" feature at U.S. Airway's website in order to see these low fares. I have attached a few sample bookings, so you know this is legitimate. If you are on the fence about this, keep in mind that flights to Hawaii from the East Coast are typically around $900-$1,000. Anything around $700 can be considered a moral victory, and anything like this can be bragged about to your heart's content. Also note that all U.S.-based carriers have an unpublicized 24-hour cancellation policy. If you want to make a speculative booking and consult with your girlfriend/boyfriend/spouse/family member, go right ahead! 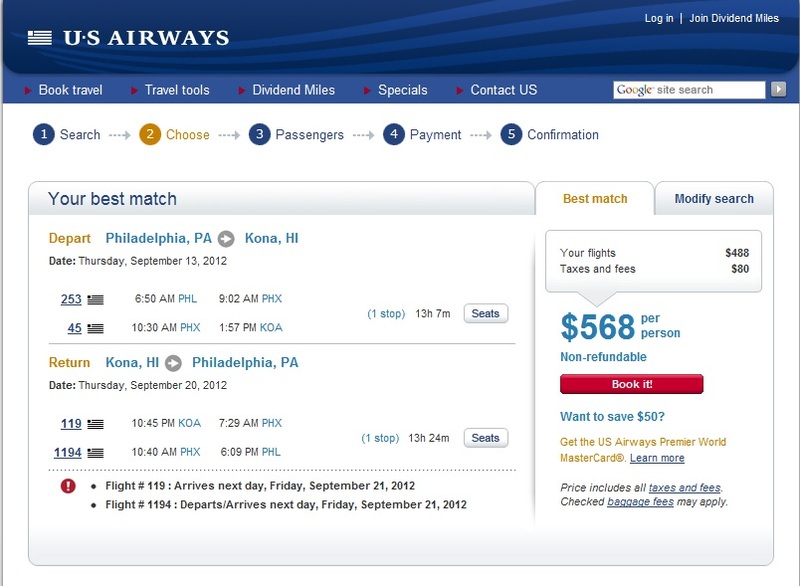 I was able to book a great fare last year to Hawaii for under $500. When I saw the deal, I booked first and asked questions later, knowing that I had a full day to cancel if the dates didn't work with my schedule. If you get frustrated in the online booking process, don't hesitate to email me or leave me a comment. ACT FAST, though, because I don't know the shelf life on this. Happy bookings!